Let me introduce you to the newest member of our family … 4 month old Oliver!! Memorial Day weekend was a family reunion of sorts. All 6 kids gathered for what was supposed to be a ‘work weekend’ at my mom’s house. Every one of my siblings worked their fingers to the bone while I held, played with, and snuggled Oliver. No matter how much work there is to do, if there is a baby in the house, I’m toast. My apologies to my brothers and sisters for not helping with the work list. When I wasn’t holding Oliver, 90 year old great-grandma was always available with an empty lap!!! Please follow me around the circle to the delightful, and always talented, Stacey in NYC. 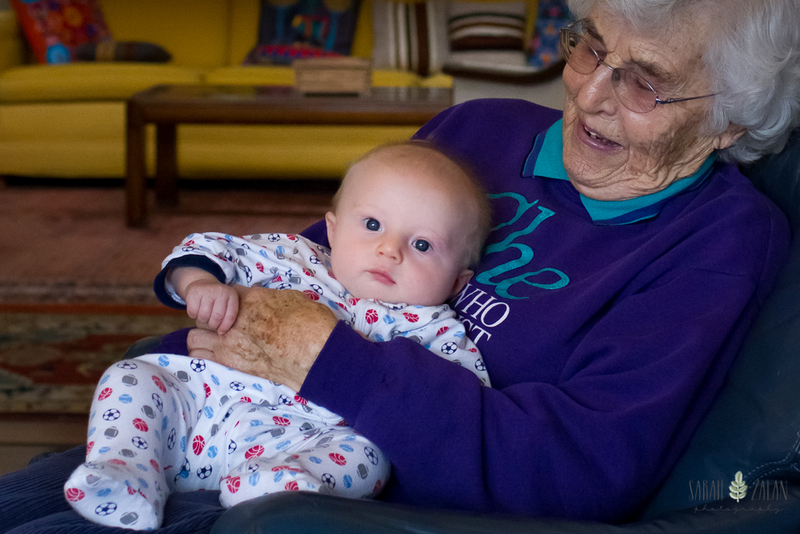 What a beautiful baby and beautiful photograph of him with his great-grandma!